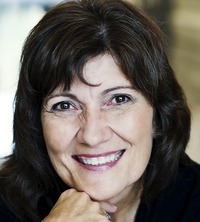 Collen Coble is an author who keeps putting out quality Christian fiction, especially in the suspense/mystery genre'. I am always sad to see a series of hers end, but happy to see a new one start. I thoroughly enjoyed the first book in this series, and this one was just as good, if not better. At the center of the series, is Shauna's search for her missing brother and sister who she has not seen since an earthquake when they were small children. In addition to the main plot of this book, the story also revolves around her finding and being reunited with her long lost brother who was adopted and never knew it. I found Coble's account of what that kind of revelation might be like for a person, and the struggles faced as he tries to deal with having a new sister he never knew existed. The main plot was very good, and had me guessing as to what was really going on. A missing girl...was she dead or alive, and was she guilty of what it looked like she was guilty of? I liked the two 2 main charters that the story revolved around, and enjoyed Grayson's reactions to the news given to him early in the book. It was also cool to have the people from the first book back, and I again enjoyed the setting for the series that Coble picked out. 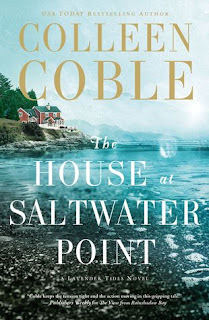 This was a definite page turner that I couldn't put down, and enjoyed every minute I spent reading this great new novel of Collen Coble's. The House At Saltwater Point is available from Thomas Nelson Publishing.